Spring is in the Air! | Spring is in the Air! Blooming fields of Garland Chrysanthemums to blossoming Redbuds. The Spring Season is a time to sit back and enjoy the birds chirping, the gentle breeze brushing up against your body and the warm sunlight against your skin. Lively festivals are in full swing! All over the world people are celebrating this beautiful time of the year! 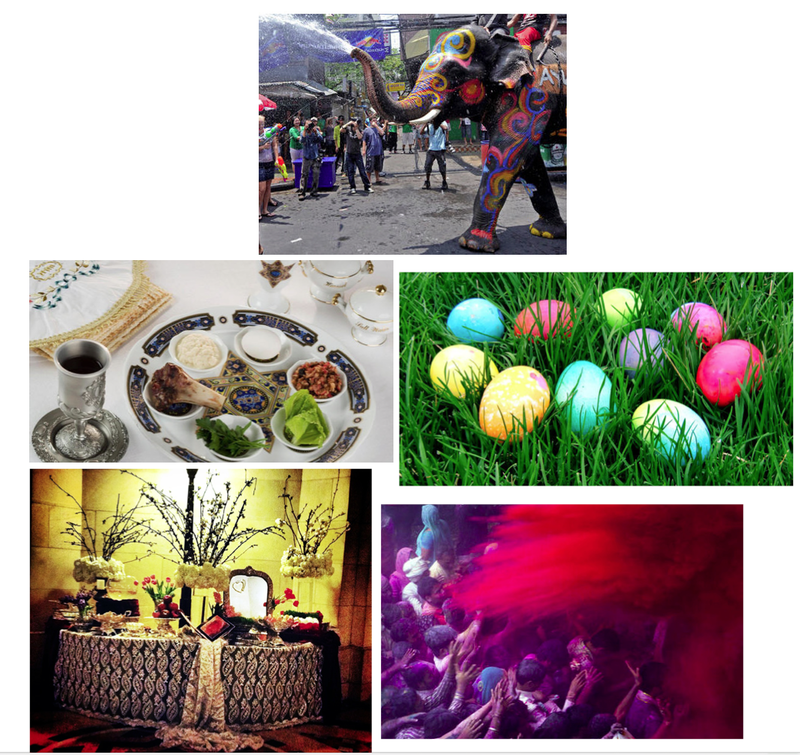 Nowruz referred to as the Persian New Year is the annual celebration, which marks the first day of Spring. In Thailand, the Water Festival is celebrated by visiting elders and going to a Buddhist monastery and of course throwing of water. In Northern India, Holi is celebrated by throwing colored powder at each other; this vibrant festival of colors celebrates the season’s many hues. One of the most widely observed Jewish holidays, Passover commemorates the story of the ancient Israelites’ deliverance from slavery in Egypt. Items on this “seder plate” showcase symbolic foods related to the story. Easter Sunday, celebrates the central event of the Christian faith. It is often celebrated with Sunday Service and proceeds with Easter Egg Hunt festivities. So go out there and celebrate this beautiful time of year!